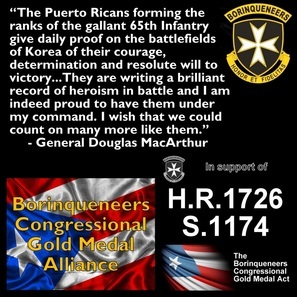 necessary efforts to obtain the Congressional Gold Medal for the 65th Infantry Regiment Borinqueneers by pooling resources from various organizations and individuals and to ignite a public groundswell of support for the 65th Inf. Reg. Congressional Gold Medal initiative." Click the button to do YOUR part! Thanks! The 65th has merited the Congressional Gold Medal! Click on MacArthur visual to enlarge. The Congressional Gold Medal will be the HIGHEST AWARD ever bestowed on the 65th Inf. Reg. 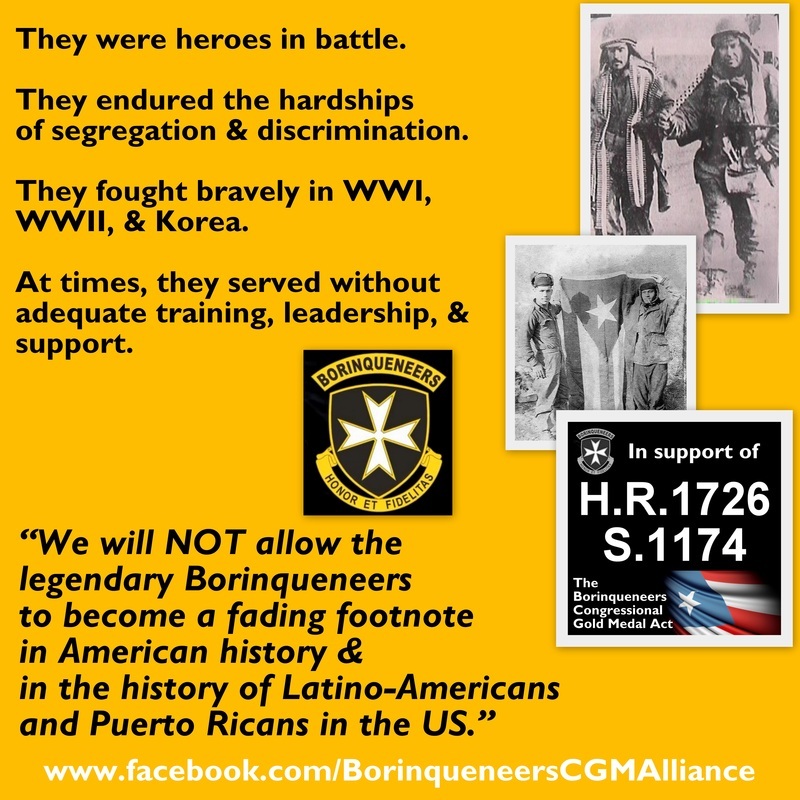 Borinqueneers based on their military achievements on the battlefield. Help us change history, not only for the 65th Infantry Regiment, but for all Latino & Puerto Rican Veterans, & all American patriots! Please contact your US lawmakers to Co-Sponsor the bills in Congress!!! As mandated by Congress in 1899, the 65th Infantry Regiment was established, and became the only segregated Hispanic unit in U.S. military history that played a prominent role in three U.S. wars: WWI, WWII, & Korea. Of all the honors Congress can bestow, the awarding of a Congressional Gold Medal (CGM) is often considered the most distinguished. A Congressional Gold Medal is an award bestowed by the United States Congress and is, along with the Presidential Medal of Freedom, the highest award of this kind in the United States. The Congressional honor affirms that they are American heroes who served their country with distinction, fighting bravely even while enduring the ADDITIONAL hardships of segregation and discrimination. 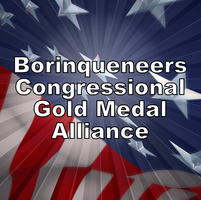 The initiative to pursue the Congressional Gold Medal for the Borinqueneers is a "Call to Action" to preserve and perpetuate the fine and rich tradition of a valiant regular Army unit that fought in combat with honor and bravery. A Congressional Gold Medal is appropriately fitting and well-deserving for the 65th Infantry, and will seal a mark of excellence over their history and rich legacy. This will also be timely as the end of the Korean War is celebrating its 60th Anniversary. 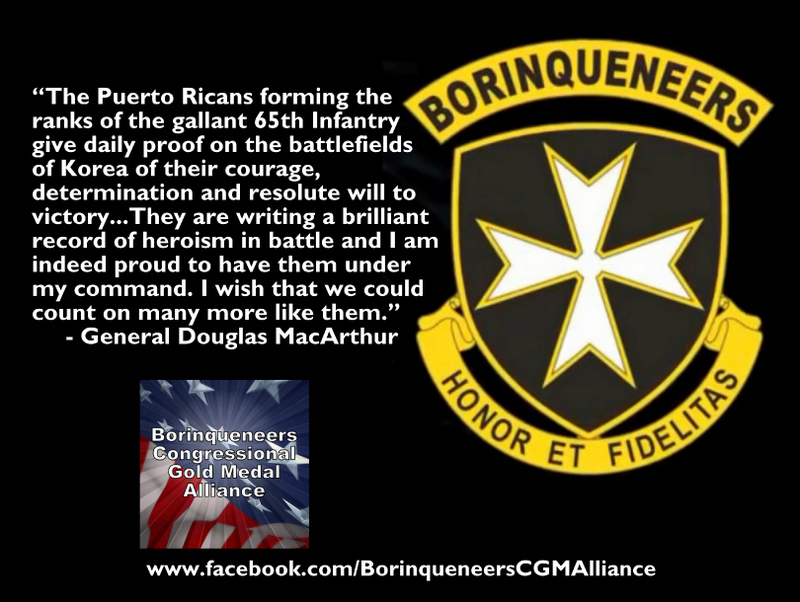 The Borinqueneers are a major cultural component of our Puerto Rican & Latino-American culture, and we owe it to our 65th Inf. Reg. veterans and to our cultural legacy to strive for the recognition they already deserved sixty years ago. Help us change history for the 65th Infantry Regiment Veterans and all Hispanic Veterans!!! 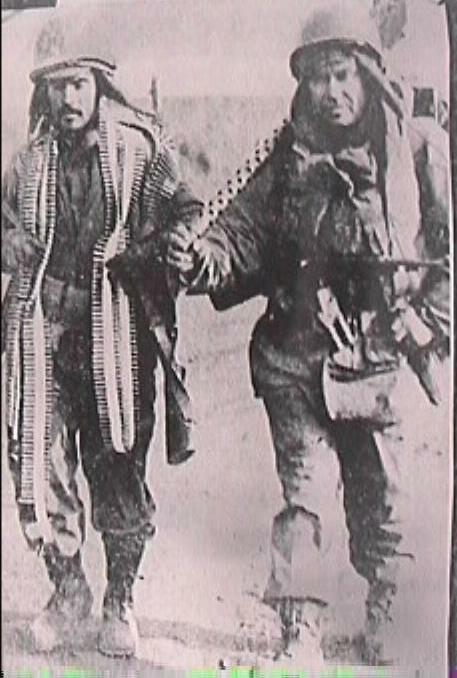 The photo above shows some of the Borinqueneers in Korea in 1952. During Korea, they earned 10 Distinguished Service Crosses, 256 Silver Stars, 606 Bronze Stars, and 2,771 Purple Hearts. Undoubtedly, many of the American patriots in the photo were KIA or MIA. 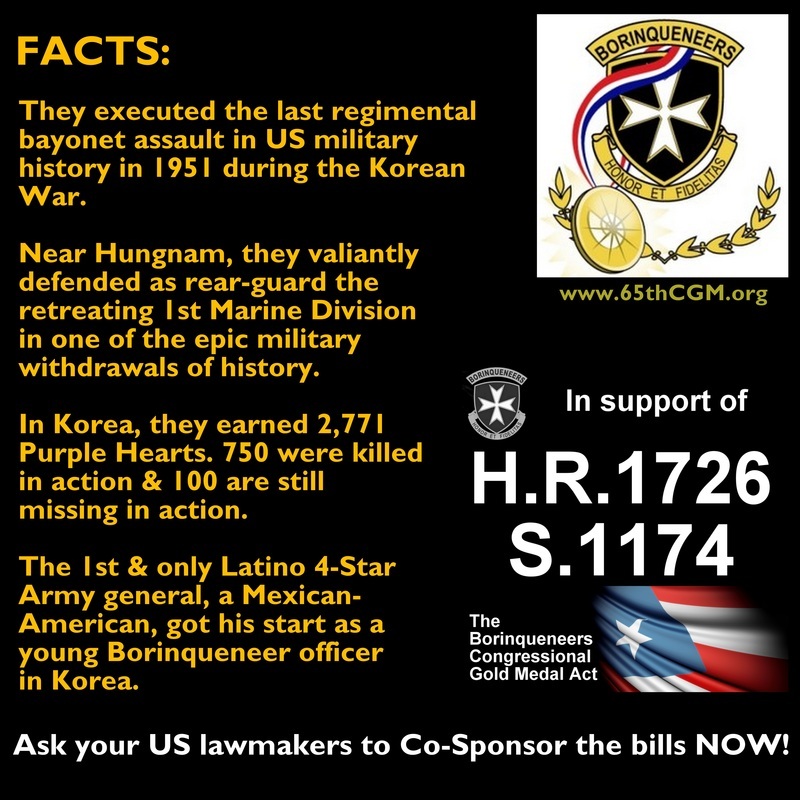 In Korea, 750 of the 65th were killed in action, and more than 120 are still missing in action. Heroes at Evacuation of Hungnam! "Ultimos en salir de Hungnam"
In Korea on Christmas Eve 1950, Corporal Julio Guzman (San Juan) and Sgt Major Lupercio Ortiz (Barranquitas) were the last 2 US soldiers to evacuate the beachhead at Hungnam. Earlier when the US Marines were encircled by the Chinese Communist troops close to the Manchurian border, the Marines were ordered to retreat and work their way back to Hungnam. 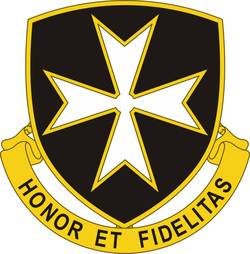 The 65th Inf. Reg. Borinqueneers rushed to their defense and stayed behind to fight the enemy. As a result, the Marines were able to withdraw to their ships with the 65th holding epic rear guard cover for them. To this day, the US Marine Corps holds a special affection for our Borinqueneer heroes! SEMPER FIDELIS y HONOR ET FIDELITAS! Photo from El Imparcial provided by Don Lupercio Ortiz via researcher Harry Franqui-Rivera. - the Japanese-American Nisei - the African-American Montford Point Marines. 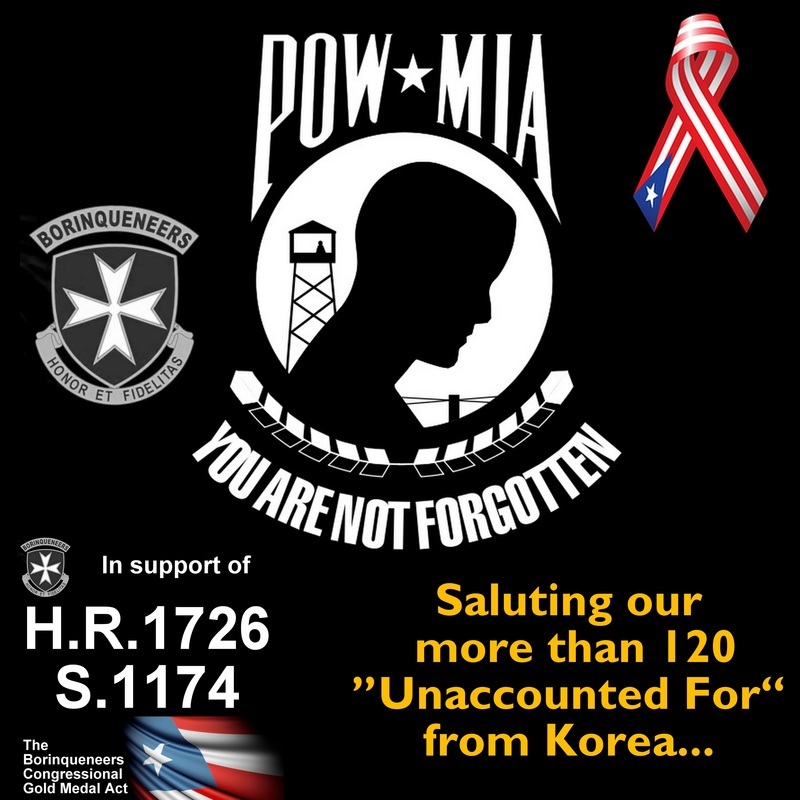 Click on POW-MIA visual to enlarge.